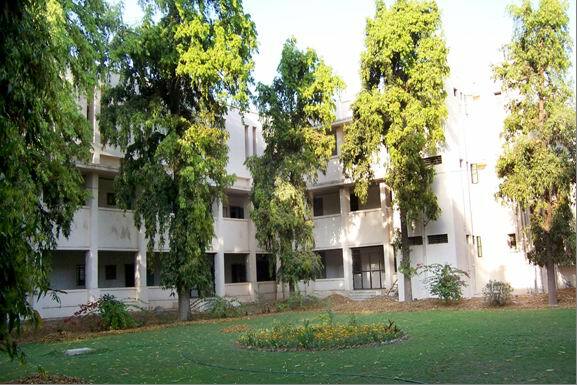 The department of Linguistics was established as an independent department in 1961.From 1957 to 1961 it was working as a part of the department of Gujarati under the headship of Dr. Prabodh Pandit. Dr. Pandit, the world renounced eminent scholar of Linguistics was the head of the department upto 1964. He left for Poone and then for Delhi as a Professor of Linguistics in the Delhi University. Then Dr. H.C. Bhayani took the charge as the head of the Department. He worked as a head upto June, 1974. Dr. Yogendra Vyas was appointed as a Lecturer in the department in Nov. 1969. He became the Head after Dr. Bhayani, i.e. in June 1974. Dr. Arvind Bhandari was appointed as a lecturer in Aug. 1980. He became the Head after Dr. Vyas i.e. in Nov. 2002. Dr. Nilotpala Gandhi was appointed as a lecturer in Nov. 1990. Dr. Bhandari was appointed as a Registrar of Guj. Uni. in Feb. 2006. Dr. Gandhi is in charge head of the dept. The department has produced 6 Doctorates in the subject. Dr Yogendra Vyas and Dr. Shantibhai Acharya have done their Ph.D. in Dialectology- Dr. Vyas on Bhili dialect and Dr. Acharya on Halari Dialect. Dr. Bhandari did his Ph.D. in Comparative study of Gujarati Marathi Language. Dr. Gandhi did her Ph.D. in Sntax( Active and Passive construction of Sanskrit). Dr. B. Mallikarjunam did his Ph.D. in Speech Therapy, and Dr. pinky Pandya did Her Ph.D. in Syntax( Auxilliary verbs in Guj.). (1) International Seminar on Gujarati Migrants in Dec. 1980. (2) Summer School in Linguistics in May-June, 1983. (3) National Workshop on Lexicography in Nov. 1990. Major Research Project undertaken in the Department. (2) Major Research project on Kacchi Dialect-By Dr. Shantibhai Acharya. (3) The role of Language in teaching of Mathematics in Primary Schools- by Dr. A.V. Bhandari. The Gujarat State Text Book Board. (2)The Dictionary for the school children which decide the exact meaning of a word.-1996. The Department runs two courses-(1) The subject is offered as a subsidiary subject in M.A. Of Linguistics in the teaching of languages, so they want to learn the subject. For them the department runs a diploma course and their classes are taken on the weekends. Infrastructure Facilities of the School. The department provides the teaching of an inter disciplinary subjects. It offers the diploma course to the graduates of any faculty. It wants to develop new subjects like Computational Linguistics, So the students can have the scopes in many other departments of other universities who run the technical courses like NLP (Natural Language Processing) and Machine Translation. If the Students study these courses they have better opportunities in the modern times of Technology. Future Career opportunity/ Placement: As Lecturers in colleges or Teachers in Schools.